Office: Candler Library. Spring 2019 office hours: 1-2:30 p.m. and by appointment. 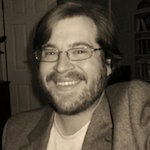 William Wright is author or editor of over twenty volumes, including Tree Heresies (Mercer University Press, 2015), Night Field Anecdote (Louisiana Literature Press, 2011), and Bledsoe (Texas Review Press, 2011). His editions include the multi-volume Southern Poetry Anthology, the eighth of which is set to release in summer of 2017, featuring poets of Texas. Wright has also co-edited Hard Lines: Rough South Poetry (University of South Carolina, 2016), which explores the dark realities of southern identity via poetry from new and established voices. Wright recently co-edited The World Is Charged: Poetic Engagements with Gerard Manley Hopkins (Clemson University Press/Liverpool University Press). His newest volume, Specter Mountain, a book of collaborative poetry co-written with poet Jesse Graves, was published in March 2018 by Mercer University Press. Wright has two forthcoming collections, Grass Chapels: New & Selected Poems, will be released by Mercer University Press in late 2018 or early 2019, and Self-Portrait as Late Autumn Frost, from Iris Press. Additionally, Wright is working on a novel and a collection of essays called The Hypnophobic Dreamer: Essays on Poetry and the Imagination (Iris, forthcoming). He recently published work in Kenyon Review, Prairie Schooner, AGNI, and Oxford American. He has been awarded Georgia Author of the Year (2016), Georgia Editor of the Year (the Georgia Center for the Book, 2015), and has won myriad prizes for his poems. He lives in Marietta, GA, with his wife, the writer Michelle Wright.